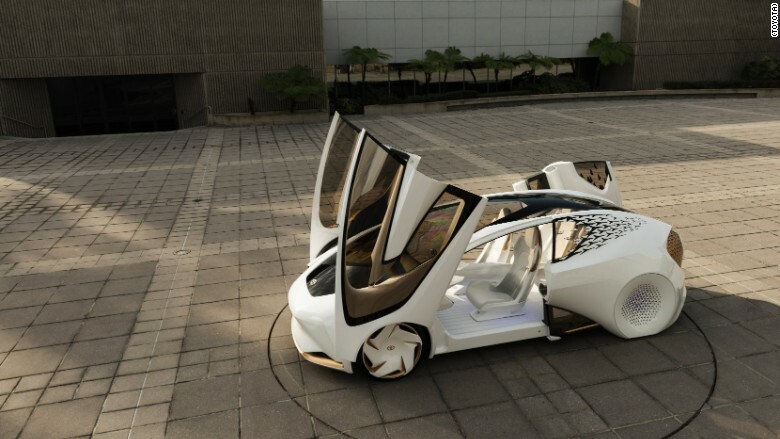 Toyota's car of the future looks like something out of a science fiction movie. 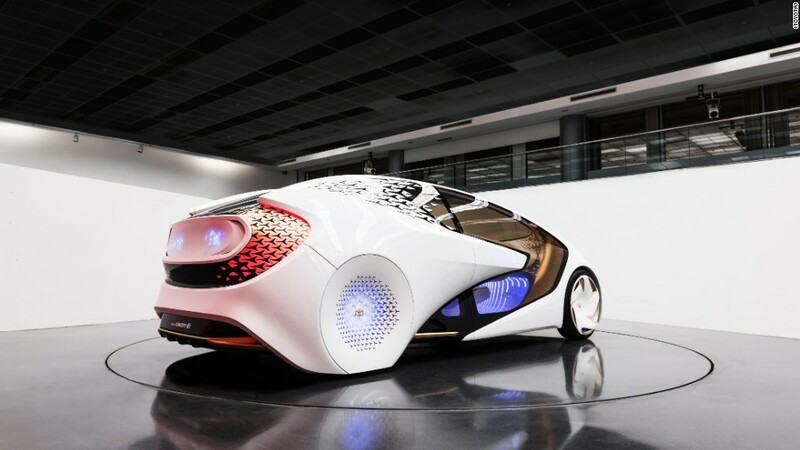 Toyota (TM) showed off its Concept-i vehicle Wednesday at CES 2017 to share its vision for how cars might look in 2030. It sits four people, but that's about the only thing the Concept-i has in common with today's cars. Its doors are made almost entirely of glass to give passengers a better view of the road beneath them. The rear wheels are built into the car's sleek white frame. Meanwhile, the screen on the car's rear displays warnings such as "watch out" for anyone driving behind the Concept-i. It's unclear how much the Concept-i would cost. Although the car is designed with the future in mind, it still requires a human driver. The car comes with autonomous driving features, but they're designed to be used only in challenging driving situations. 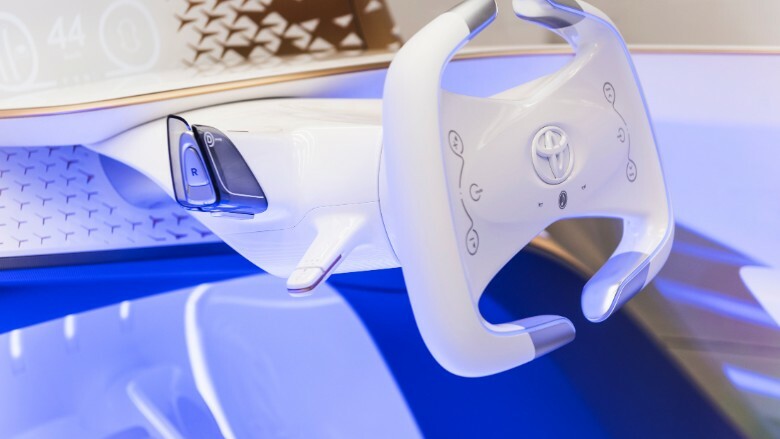 "As long as there's beautiful twisty roads and fantastic scenery, people are going to want the experience of navigating that themselves," William Chergosky, a Toyota design manager for the Concept-i told CNN. Toyota didn't want the vehicle to come across as an impersonal, soulless technology. It intentionally picked bright warm colors such as white and pink for the concept model. "It's easy to design technology in a cold way," Chergosky said. "You have to find a way to endear the technology to people to make them want to drive it." Toyota will start testing the vehicle in Japan in the next few years. But don't count on the Concept-i hitting the roads anytime soon.